Bollywood goes into flashback mode. It's #ThrowbackThursday time when we take a look at film folk and their lovely memories together. Stars tend to post pictures on social media from time to time, and we stumbled on so many pictures! 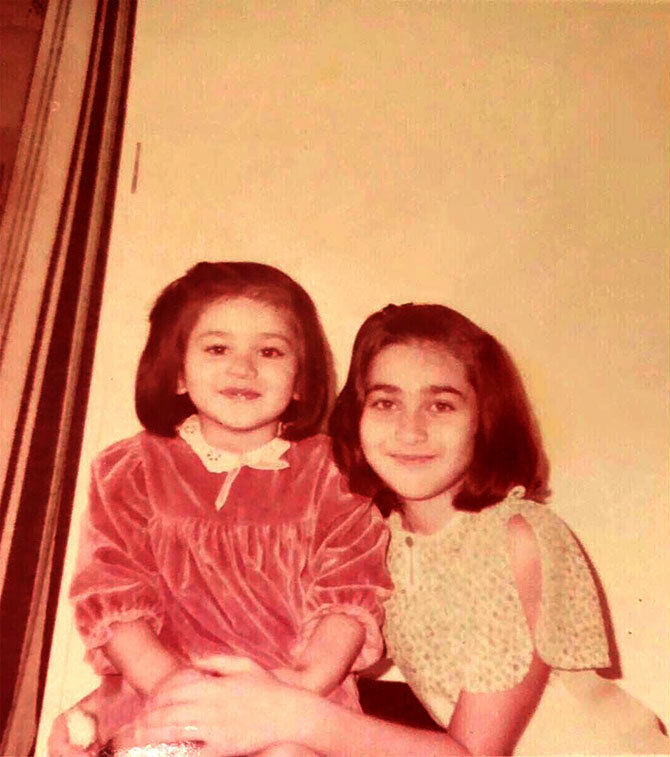 Namrata Thakker digs up some lovely pictures and takes you down memory lane. 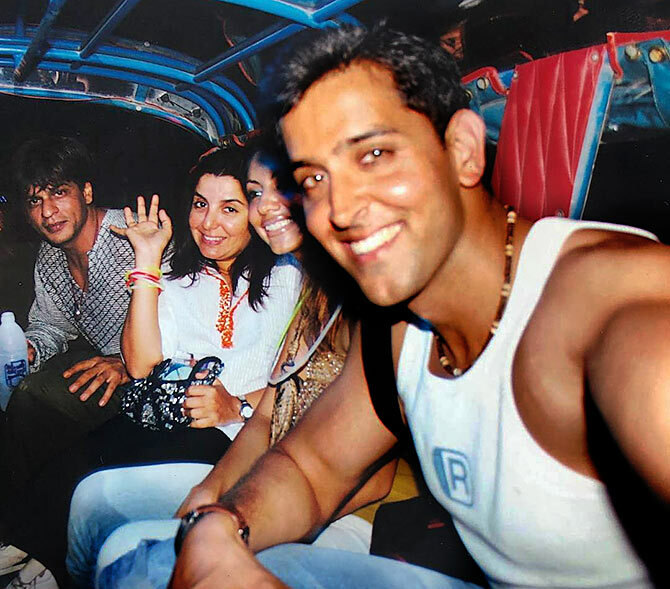 Hrithik Roshan explores Koh Samui in Thailand on New Year's Eve with Farah Khan, Shah Rukh Khan and his wife Gauri in a tuk tuk. This picture was taken back in 2003, two years after the actors starred in Kabhi Khushi Kabhie Gham. 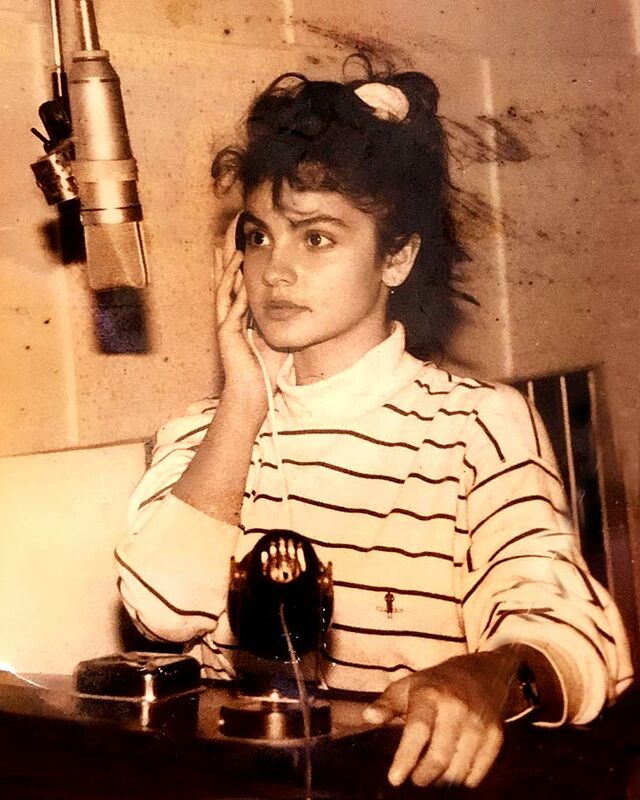 Pooja Bhatt dubs in a recording studio for her very first film Daddy in 1989. Lolo posted this pic on her Insta feed and captioned it, 'Always Twinning... since forever! #wonderwednesday #sisters #memories #myrock #family'. 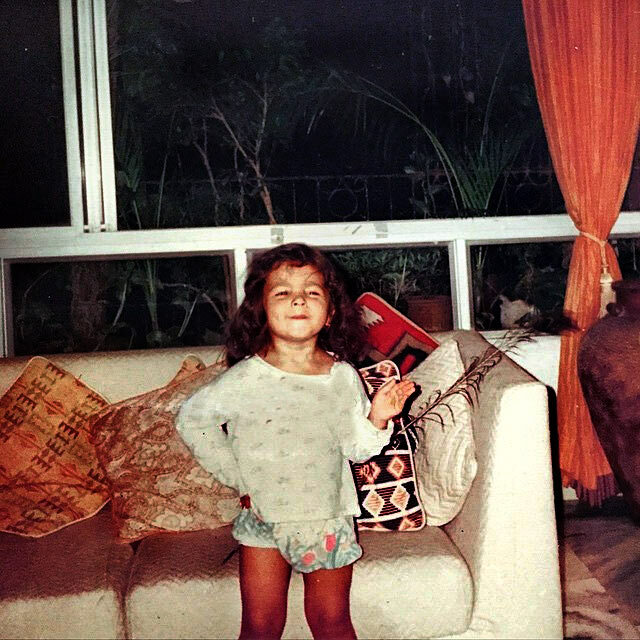 The chubby little girl with curly hair is a poser for life! Yes, that's Alia Bhatt! When Mrs Jonas was just Mimi didi for her younger cousin. 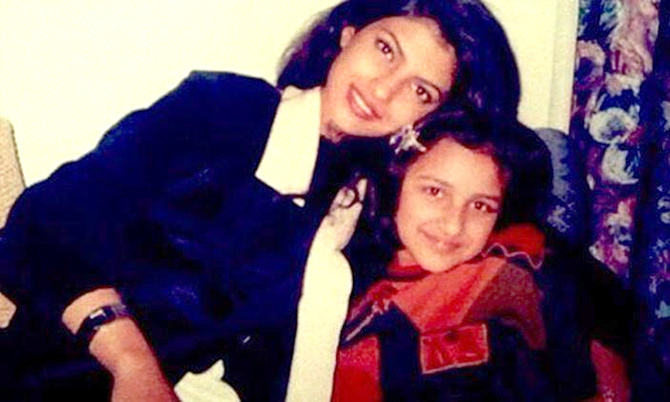 Parineeti Chopra shared this picture on her Insta account to wish Priyanka on her birthday in 2017. We have to admit this is the cutest throwback picture ever. 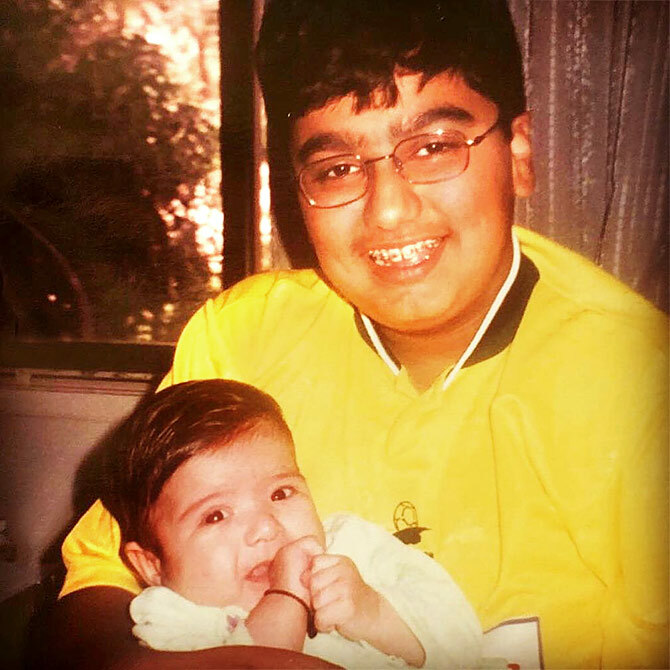 The chubby little boy is Arjun Kapoor holding on to his little cousin Shanaya, Sanjay Kapoor's daughter. 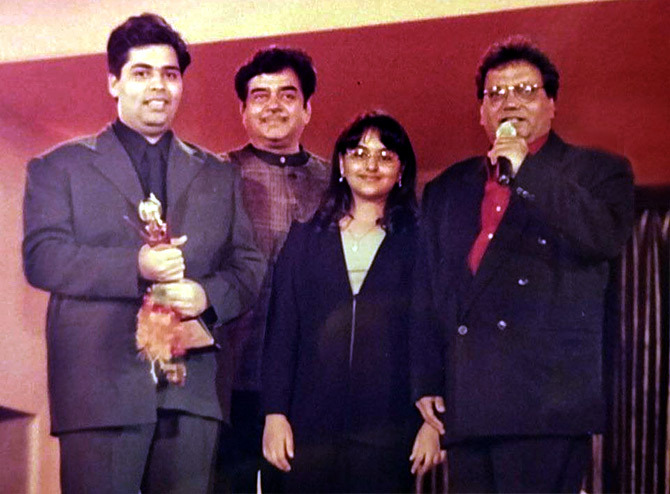 Karan Johar shares the stage with Sonakshi Sinha, just a teenager then, along with her father Shatrughan Sinha and Subhash Ghai. KJo captions it: 'I have to thank @bachchan for sharing this with me! Remember this @aslisona ?? I have won an award but look like I ate the ceremony!!!! #majorthrowback #doublechinalert'. 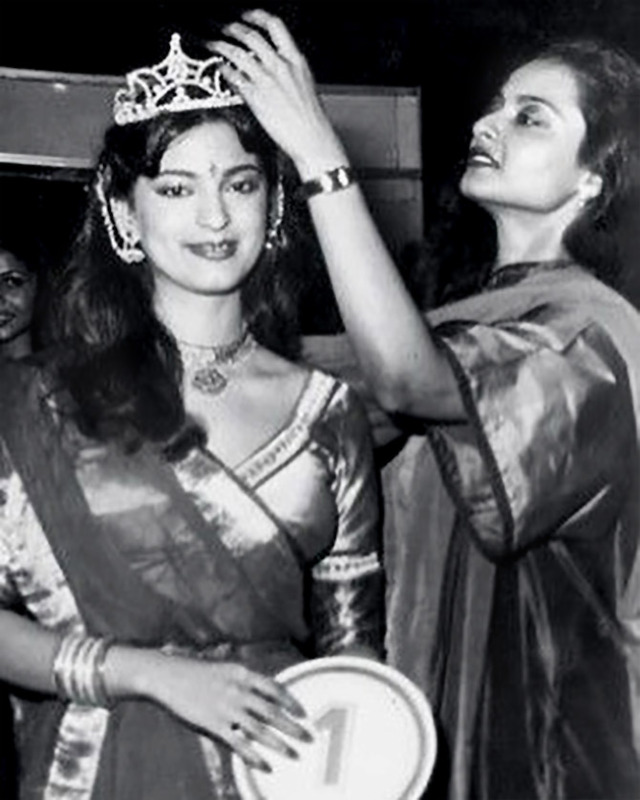 Juhi Chawla gets her Miss India crown from Rekha. Little Janhvi flashes a naughty smile as mommy dearest Sridevi gives her an adoring look. 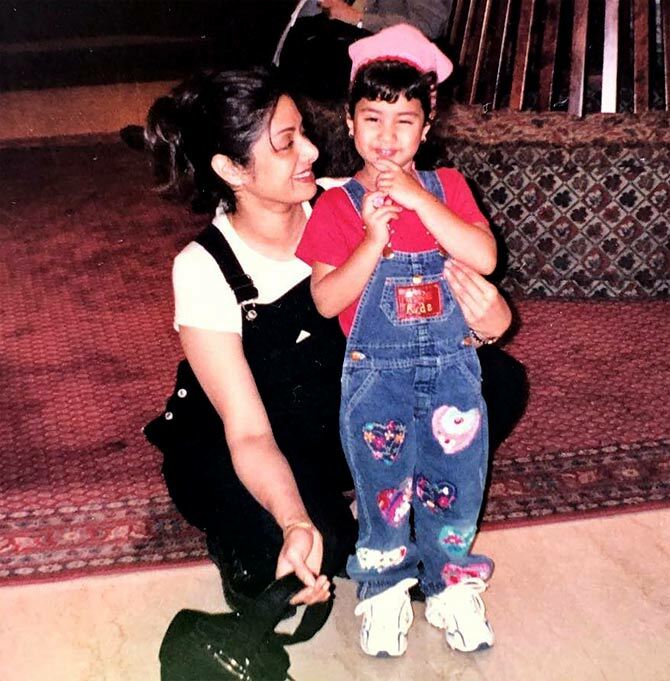 Sridevi bursts into her child-like giggles with... can you guess who he is? 'I loved her, admired her so much. 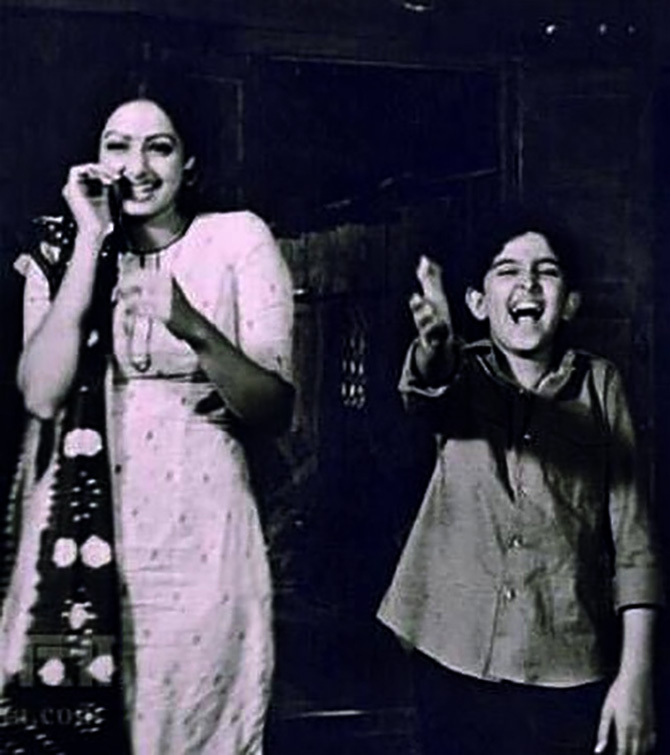 My first ever acting shot was with Sri Devi, I was nervous in front of her and I remember her shaking her hands pretending to be nervous cause of me, just to boost my confidence. We had to laugh, and she kept laughing until I got it right. 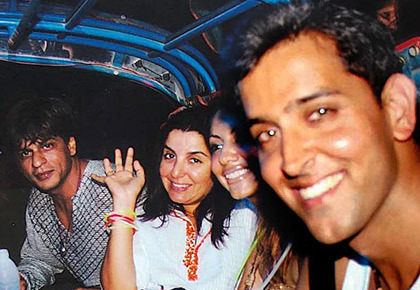 Will miss you mam', Hrithik recalls. Do Bollywood's new jodis look HOT?